Property Location With a stay at Inn at Grand Glaize in Osage Beach, you&apos;ll be convenient to Gran Rally Karts and Osage Beach Premium Outlets. 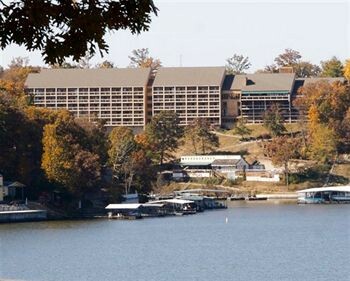 This romantic hotel is within the region of Ozark Caverns and Ozarks Caverns Visitors Center.Rooms Make yourself at home in one of the 153 air-conditioned guestrooms. Complimentary wireless Internet access is available to keep you connected. Bathrooms feature shower/tub combinations, complimentary toiletries, and hair dryers. Conveniences include coffee/tea makers and irons/ironing boards, and housekeeping is provided daily.Rec, Spa, Premium Amenities Don’t miss out on the many recreational opportunities, including a health club, a spa tub, and a sauna. This hotel also features complimentary wireless Internet access, babysitting/childcare, and an arcade/game room.Dining Enjoy a satisfying meal at a restaurant serving guests of Inn at Grand Glaize. Relax with your favorite drink at a bar/lounge or a poolside bar.Business, Other Amenities Featured amenities include complimentary high-speed (wired) Internet access, a computer station, and complimentary newspapers in the lobby. Planning an event in Osage Beach? This hotel features 2086 square feet (188 square meters) of event facilities. Free self parking is available onsite.